David McMullin’s music has been described as “beautifully free” while possessing a “vivid internal drive” (Hudební Rozhledy, Prague). He is a recipient of the ASCAP Morton Gould Young Composer Award, the Aaron Copland Award, an IRNE award and MacDowell Colony Fellowship, among other honors. He teaches at New England Conservatory in Boston, serves on the Executive Committee of the International Society for Contemporary Music (ISCM), and is Executive Director of Collage New Music. 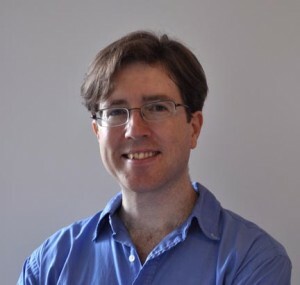 With a Ph.D. in music theory and composition from New York University and a Bachelor’s degree in music from Yale University, his composition teachers include Louis Karchin, Brian Fennelly, Charles Wuorinen and Andrew Imbrie. His works have been performed by professional ensembles in the United States, Europe and Asia, and the Czech composers group Atelier 90 has also honored Mr. McMullin with a portrait concert in Prague dedicated to his music.